Hola amigos! 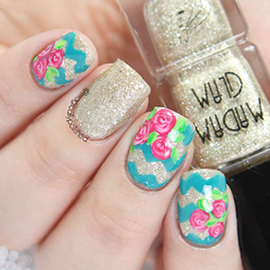 Well this is my part two of my Alphabet Nail Art Challenge: W for Water Marble. 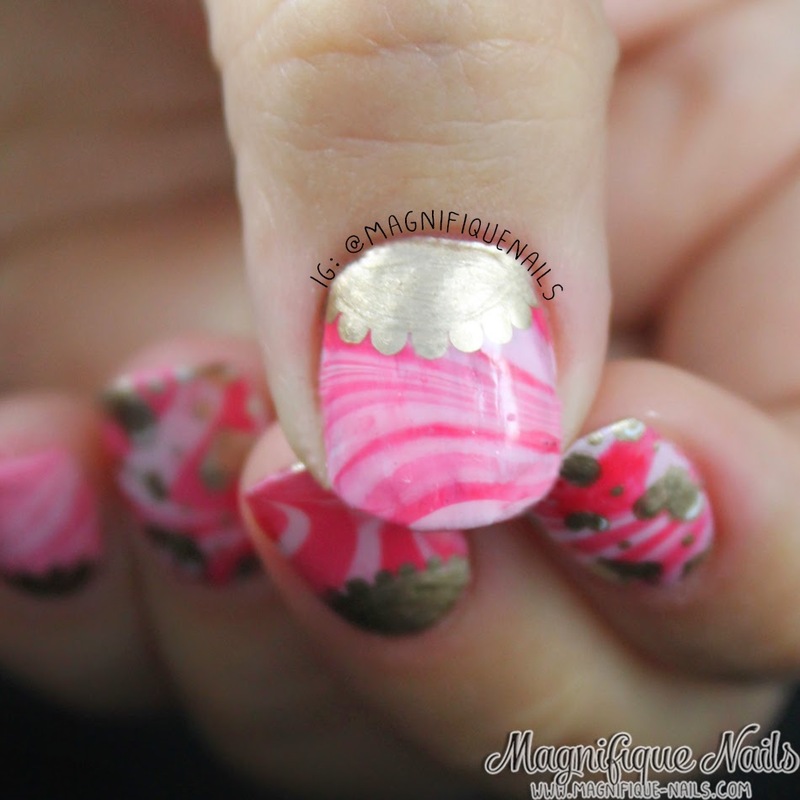 I loved how part one of my water marble design came out, I couldn't resist to try again. I even wanted to create a Valentines Day theme, with the hearts and half moon (and of course pink nails). For the base, I applied two coats of OPI Alpine Snow. Once the polish dries I used the same the tutorial by Mucking Fusser, only I kind of zig zagged the lines to have it more or less "floating" look (if that makes sense). The colors I used is Sation Nail Lacquer Delete Junk Male and Of Corset I'll Call You (in that order). I repeated the method for each nail. Once I had the marbling done, with a nail art brush I used Essie's Good as Gold to draw the hearts, in various sizes and dots around them. Using the same nail art brush I created the half moons and the dots with a dotting tool. Lastly, I sealed the designs with Duri- Super Fast Dry Through Top Coat and that's it!